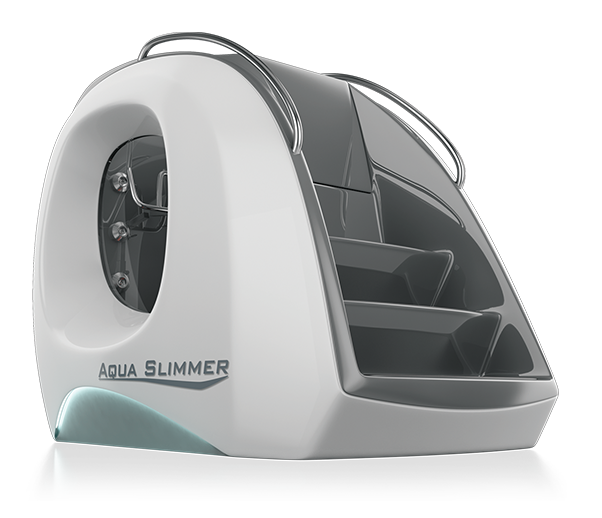 Body Slimmer is a line of specific equipment for slimming and wellness, with a modern design and a highly innovative character. 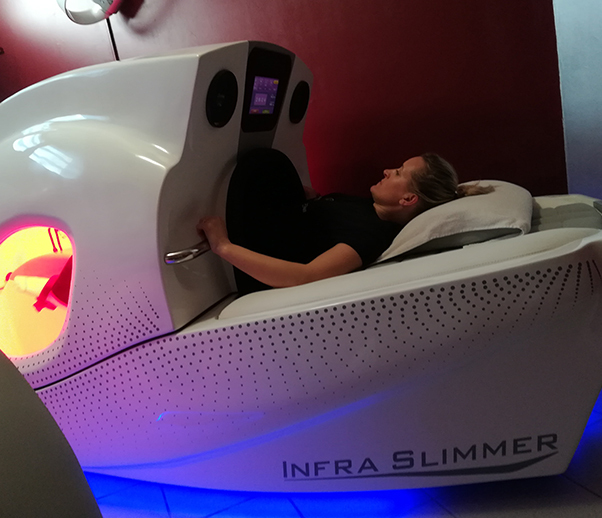 The secret of the effectiveness of Body Slimmer is the integration, in machines for physical activity, of two technologies that accelerate and intensify the slimming process. 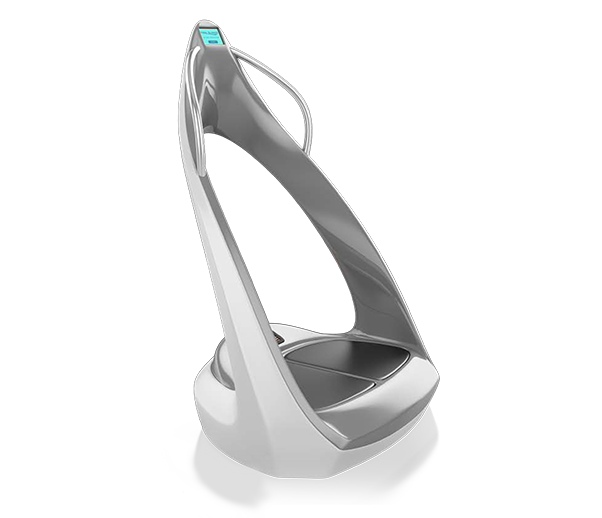 The Vacuum creates a depressurizing effect in the affected areas, stimulating blood and lymphatic circulation. 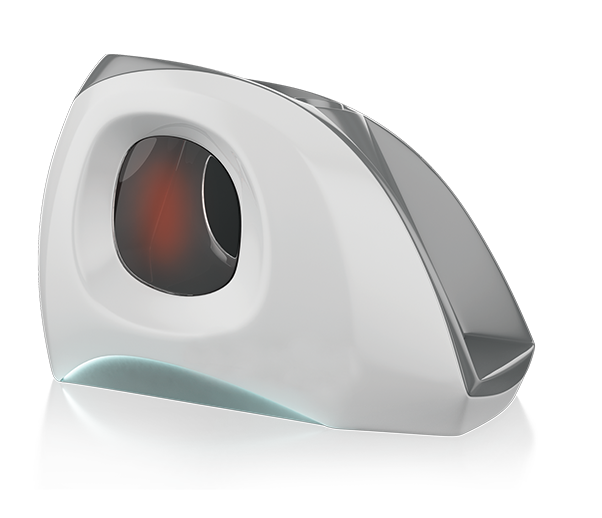 The Infrared warms the tissues acting on the metabolism. This combined action promotes the consumption of calories and excess fat. 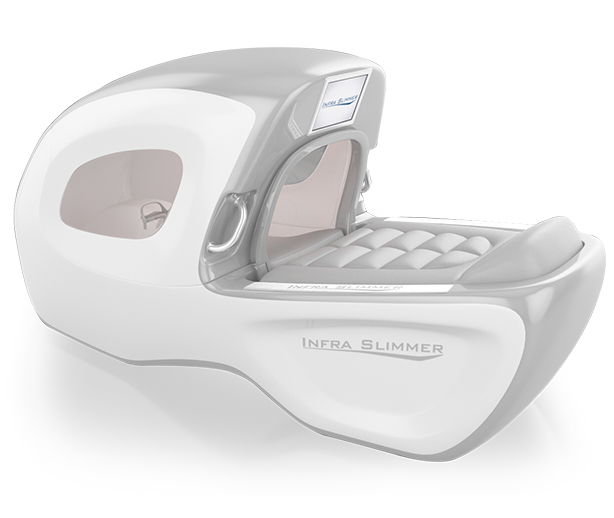 Body Slimmer technology is effective on several fronts, from weight loss to toning, from the contrast of water reduction to the improvement of the appearance of the skin. The Vacuum + Infrared action increases energy expenditure up to 5 times compared to a normal fitness session, accelerating the weight loss process. Movement and specific exercises on the Active Bed improve muscle tone, counteracting the laxity of tissues due to weight loss. 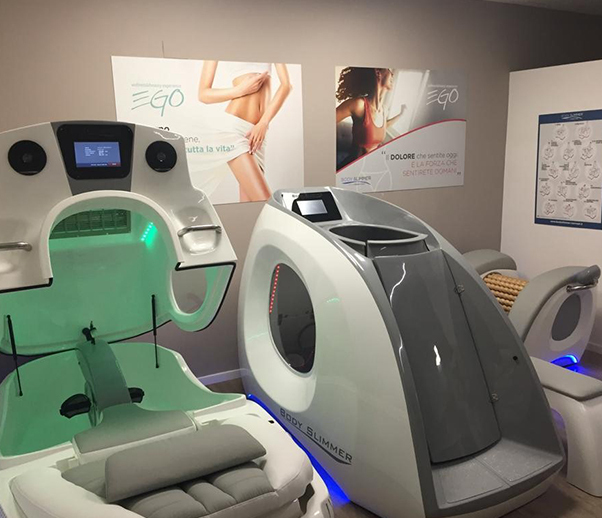 Infrared rays stimulate microcirculation, restoring a smoother, brighter and firmer skin and making the signs of age less visible. Vacuum technology creates a “vacuum” effect in the affected areas comparable to a draining treatment, eliminating toxins and excess liquids. Discover firsthand all the benefits of the body and the line. The research confirmed the results of using Body Slimmer: a cycle of 10 training sessions gave sensational effects in terms of weight loss. The effects of Body Slimmer are evident and long-lasting: Vitality and physical fitness greatly improve! 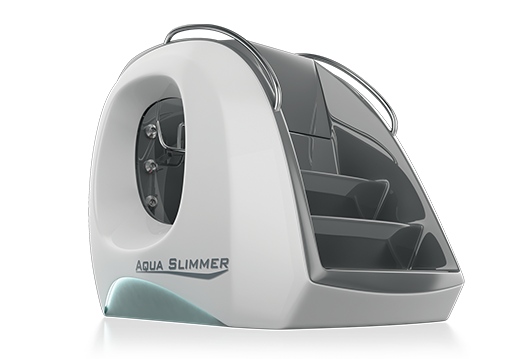 The specific Vacuum + Infrared technology applied within the system Body Slimmer promotes weight loss. 183 have noticed an improvement in the appearance and tone of the skin. It is highlighted that, in terms of energy expenditure, a 30-minute Body Slimmer session is equivalent to 5 times a session of treadmill or bike of the same duration and the same inclination, speed and resistance. 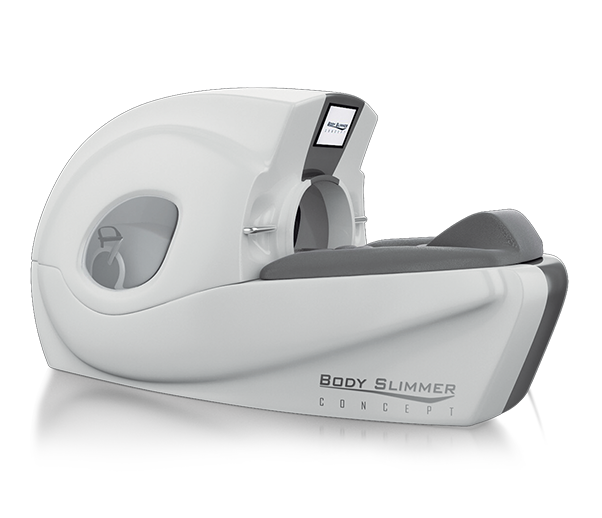 With Body Slimmer you will have the opportunity to launch yourself in the timeless business of weight loss, with the certainty of a truly effective method and the security of offering customers concrete results. 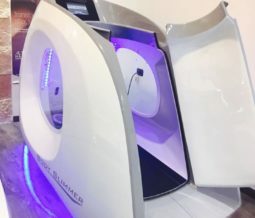 Thanks to the different sales possibilities, Body Slimmer is the right card to play even if you want to change your activity, opening a slimming and wellness corner in your beauty center. a line without comparisons. 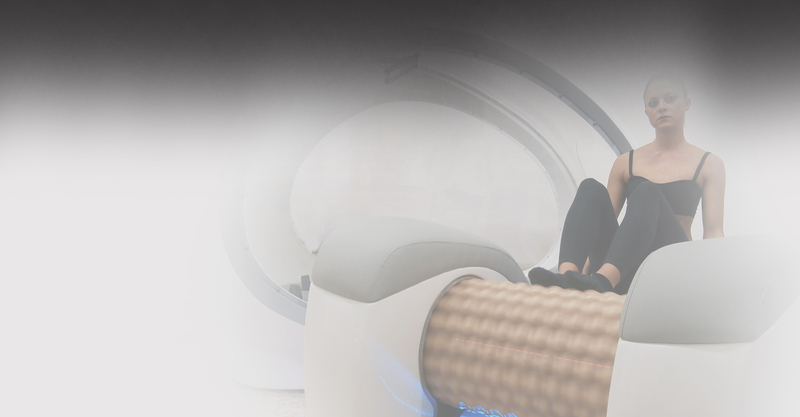 The future of body care wellness is here! 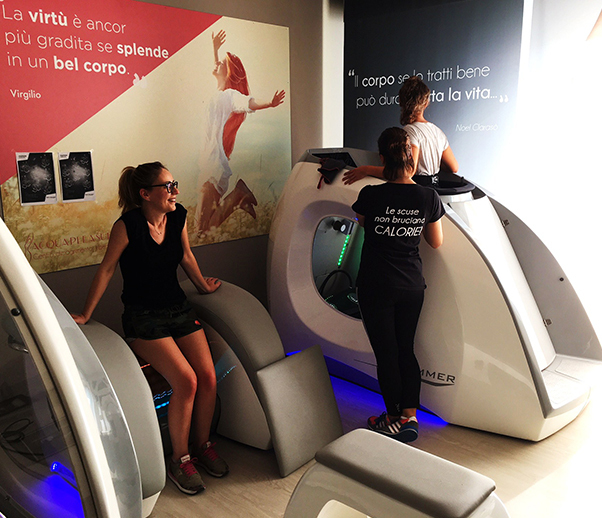 It is the ideal machine for those who want to lose weight doing physical activity in a comfortable position, without stressing the joints and with all the benefits of Vacuum + infrared technology. As on the treadmill, body functions are activated to speed up the metabolism, stimulate circulation and induce a greater caloric consumption, allowing the body to eliminate fat more easily. 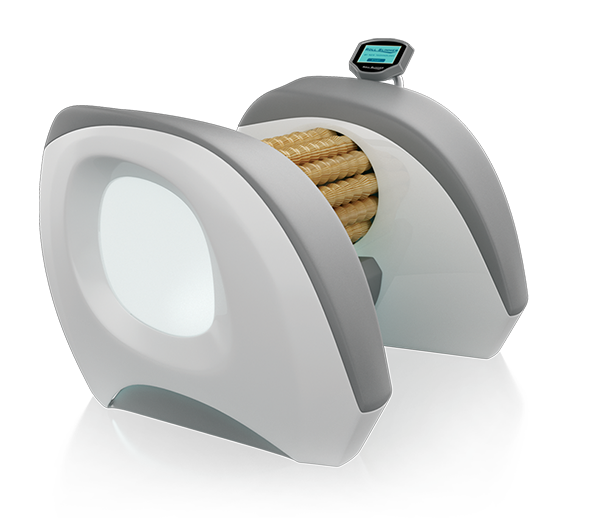 Vacuum compression and Infrared lamps make this treadmill unique in its kind, activating body functions that can speed up the metabolism, stimulate circulation and induce a greater consumption of calories, allowing the body to eliminate fat more easily. Temperature, intensity, speed and inclination are adjustable for maximum comfort. With the help of a personal trainer, you can perform exercises and movements suitable for toning, strengthening and lengthening the muscles. 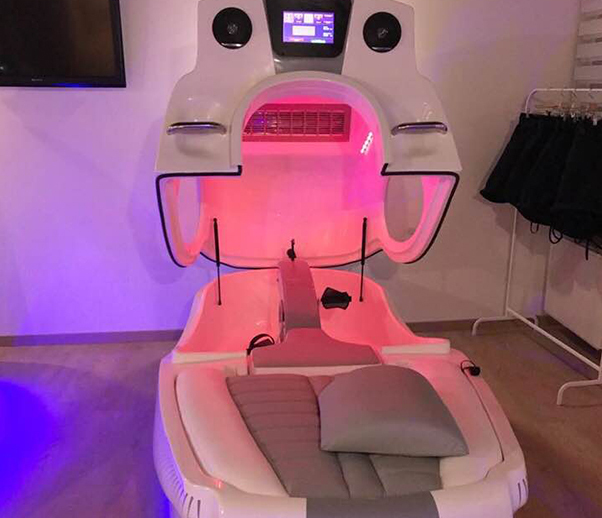 These exercises are carried out inside an infrared heated capsule up to 100 ° F / 36.6 ° C in particular humidity conditions that facilitates body stretching, detoxification and allows an invigorating workout. A wooden massage roller with integrated infrared lamp. It acts mainly at the microcirculatory level, aiming to eliminate the imperfections of cellulite. 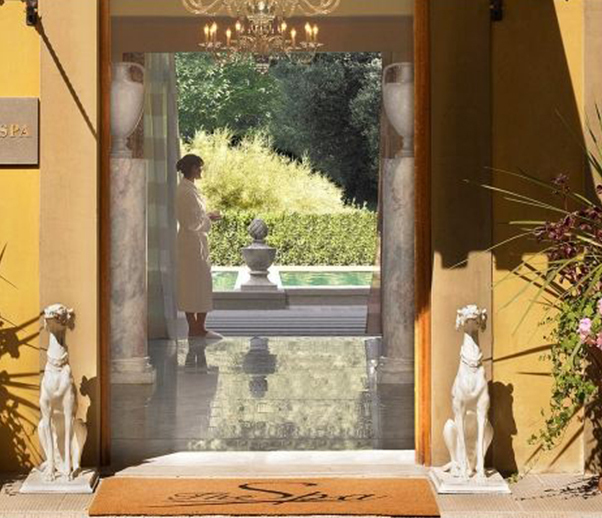 However, this type of massage proves beneficial also in other fields: lymphatic drainage, post-trauma rehabilitation, training preparation, skin toning, muscle relaxation after physical activity. 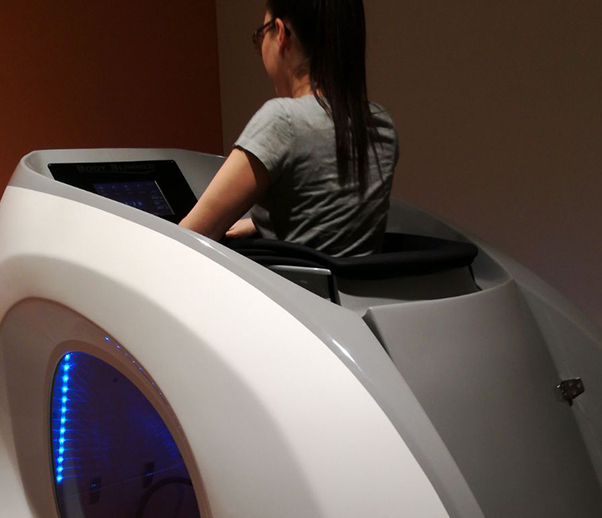 A combined exercise with aquatic therapy and hydromassage in a single device ideal for not overloading the joints. Originally designed for motor rehabilitation, it has proven to be useful for losing fat mass, improving muscle tone and reducing cellulite. 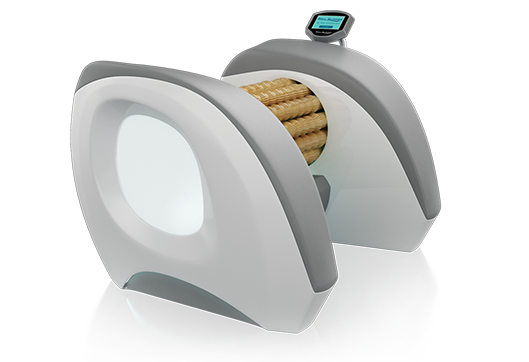 The device acts through intense rotary vibrations that stimulate circulation and fat loss. 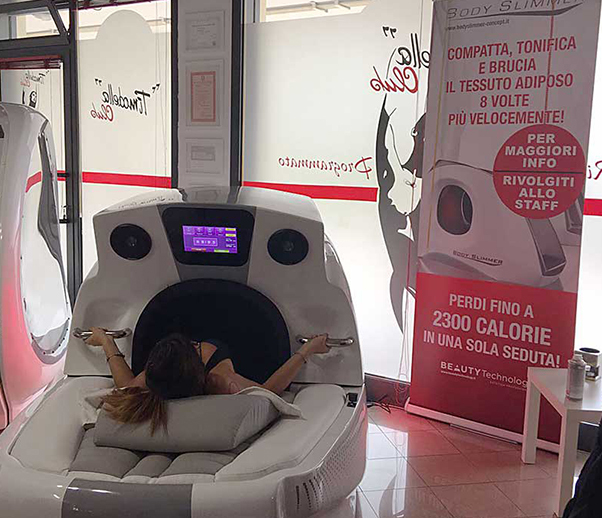 Thanks to infrared radiation, the effect is enhanced because the body consumes energy by burning fat naturally to regulate thermal equilibrium. 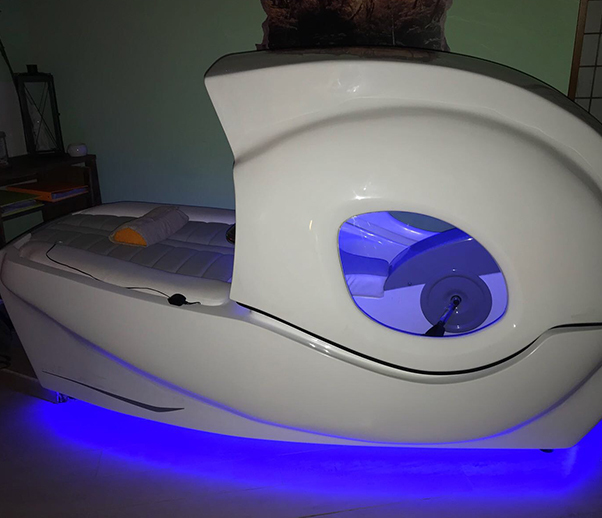 A bed with a vibrating massage where you can enjoy some relaxation after the session or on which you can perform massages or treatments. 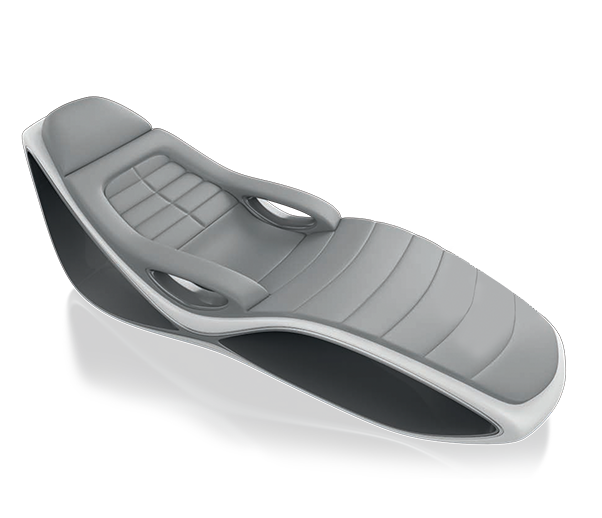 It adapts to the body offering maximum comfort and relaxation. 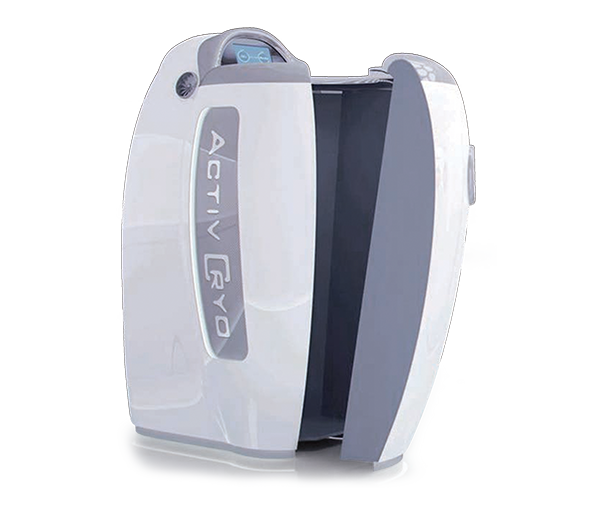 It is an excellent solution for spas, gyms, beauty centers and wellness centers, but it is also designed for home use. 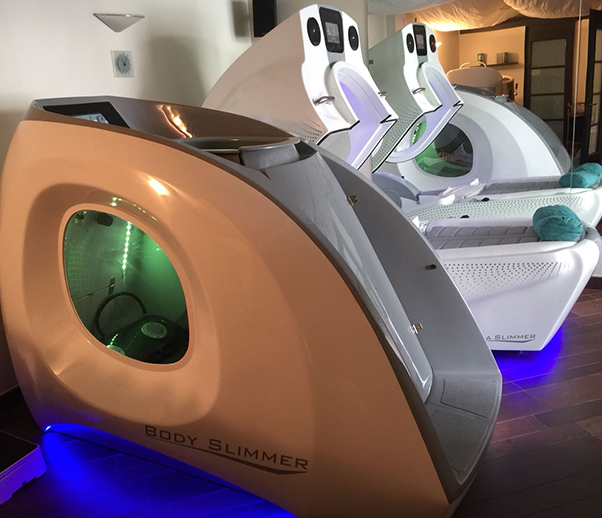 Come and try Body Slimmer in one of our centers. You will have all the necessary information and the opportunity to touch the concrete business opportunities arising from the innovation of wellness and weight loss. You can count on our 360 ° support: technical assistance, marketing and communication service, training on use and on the sales method. We will put you in the conditions to carry out the activity at best! 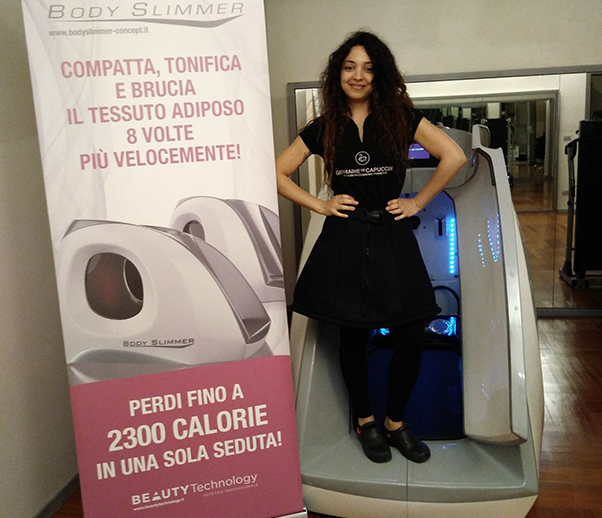 With the purchase of Body Slimmer you will receive a free kit of information brochures for your customers, a roll up to be displayed in your center, online promotion and social networks activities for the first three months. We will provide the delivery, assembly, dispense all the necessary documentation and we will offer customized solutions for the furniture and for the new image to give to your center thanks to our graphic designers and our technicians. 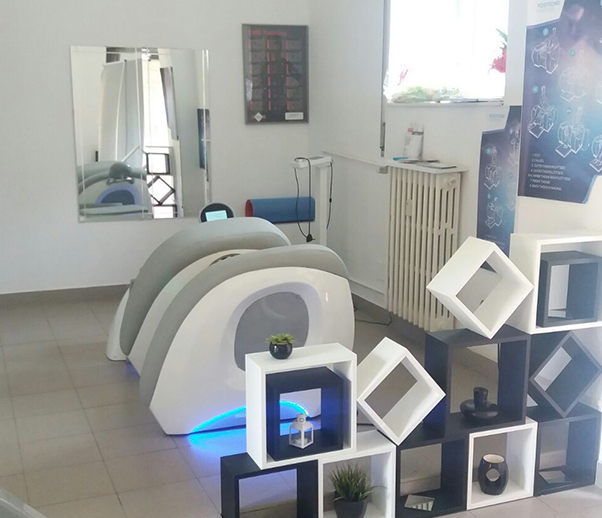 Beauty Technology is a brand of distribution of devices and equipment for beauty salons, beauty spa and fitness and wellness centers. 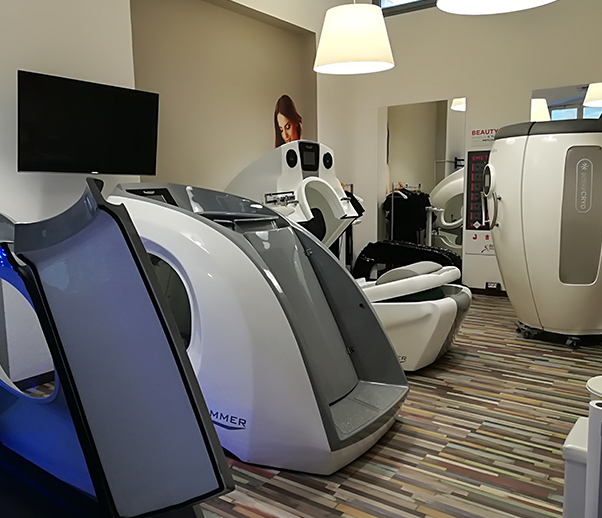 The company, with twenty years of experience in the wellness and weight loss sector, focuses on the latest and most innovative technologies, offering state-of-the-art and proven solutions, with an after-sales service including technical assistance and training.